Welcome to Part 2 of this A to Z of Inspirational People. People inspire me in so many different ways; whether that be through significant breakthroughs in technology, advancement in science, progression of thought or overcoming adversity to succeed. Hopefully this A to Z series will make you think about who inspires you and why. If you missed Part 1, including; Albert Einstein, Bill Gates, Charles Darwin, David Attenborough and Florence Nightingale, please click here. As one of the Apple employees responsible for marketing the Macintosh computer in 1984, Kawasaki had a first-hand experience with the value of getting in on the ground floor of new ideas. Soon he would bring his evangelism for the Apple brand to the high-tech business world. He is the co-founder of Alltop.com, “an online magazine rack,” and Garage Technology Ventures, an early-stage venture capital firm. A writer, speaker, and consultant, Kawasaki has also become a high-tech marketing guru. He has authored numerous books including: Reality Check, The Art of the Start, Rules for Revolutionaries, How to Drive Your Competition Crazy, Selling the Dream, The Macintosh Way and Enchantment: The Art of Changing Hearts, Minds, and Actions – my personal favourite. 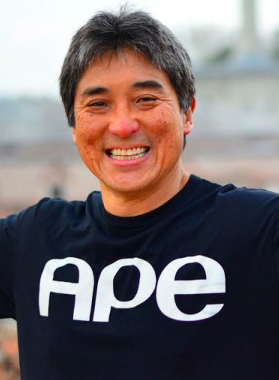 His latest book is APE: Author, Publisher, Entrepreneur: How to Publish a Book. Kawasaki is a social media giant and has inspired me to engage, listen and grow my network, sharing insight and good news. He’s one of the reasons I started Think Oak! and started writing my first book. Henry Ford is a name that is respected all around the world. He is known for many reasons but most commonly for his founding of the Ford Motor Company in 1903. For over 100 years Ford Motor Company has been one of the largest and most profitable companies in the world. The impact that Ford had on the car industry was more than significant. But the car industry is not the only industry that Ford’s innovative thinking touched. His ideas for the assembly line and mass production of inexpensive goods had an effect on a plethora of production industries around the world. His accomplishments should be considered incredible by anyone’s standards. 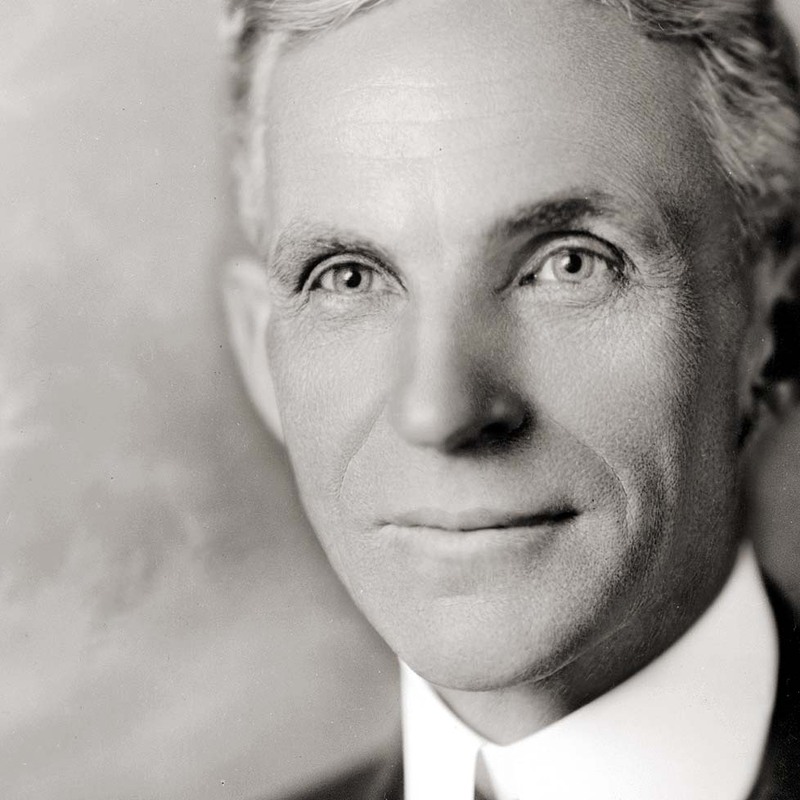 On top of his obvious contributions to the car industry, Henry Ford helped to make huge advances in engineering of wood products, such as particle / chip board, helped to develop corn as a fuel source, such as ethanol, and helped develop potential uses for cotton. Ford also paved the way for millions of people to grill their food by being an instrumental in developing charcoal briquettes, under the brand Kingsford. On top of these advances, he also made contributions to sociology with studies, inspirational references and writings. His inventions touched, and continues to touch millions of people, all around the world and shape the way that both fuels and the way that we travel. The best quality that can be seen in Henry Ford’s life is the fact that he never lost sight of his morals, even when faced with criticism. Even in his wealth he remained humble and respected others. He treated people well, especially his workers. His workers were paid more than double of what workers at similar jobs were being paid during that time period. Hillary Clinton has been an inescapable American public figure for more than 20 years now – First Lady, Senator and Secretary of State. In her whirlwind final year as secretary of state, Clinton became one of the most popular politicians in America and she is increasingly celebrated as a class act who has managed to reinvent herself from losing presidential aspirant to world-class problem solver. At 65, she still seems to have the passion and the energy to make a difference! 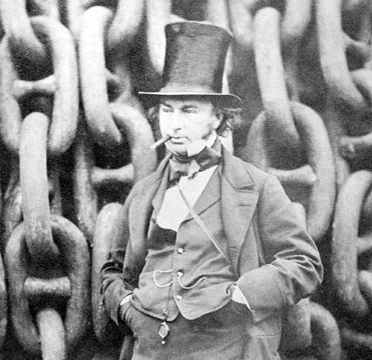 One of the great British engineers of the 19th century Isambard Kingdom Brunel (1806-1859) built twenty-five railways lines, over a hundred bridges, including five suspension bridges, eight pier and dock systems, three ships and a pre-fabricated army field hospital. He was the only son of French civil engineer Sir Marc Brunel and under his father’s guidance Isambard was fluent in French and had a command over the basics of engineering by the age of eight. Brunel’s international engineering status was established by his work on the Great Western Railway (GWR) linking Bristol and London. At the age of 27 he was appointed GWR’s chief engineer. And his achievements included viaducts at Hanwell and Chippenham, the Maidenhead Bridge, the Box Tunnel and Bristol’s Temple Meads Station. Not content with railways the far-sighted Brunel persuaded the company which backed the Great Western Railway to consider trans-Atlantic travel. The Great Steamship Company was established, allowing Brunel to build a steam ship to cross from Bristol to New York. At 236 feet long the Great Western was the largest steamship of its time. She made her first voyage in 1838. The journey took 15 days and was the first of more than 60 crossings made over the next eight years. Brunel’s next steamship quickly overshadowed her older sister. At the time of the SS Great Britain’s launch in 1843 she was the largest ship in the world. She was also the first screw-propelled, ocean-going, iron-hulled steam ship – a truly revolutionary vessel and fore-runner of all modern shipping. A celebrated engineer in his era, Brunel remains revered today, as evidenced by numerous monuments to him across the UK. Sir Isaac Newton contributed significantly to the field of science over his lifetime. He invented calculus and provided a clear understanding of optics. Born in England in1642, Isaac Newton attended Trinity College in Cambridge. While there, he took interest in mathematics, optics, physics, and astronomy. His most famous work came with the publication of his “Philosophiae Naturalis Principia Mathematica” (“Mathematical Principles of Natural Philosophy”), generally called Principia. In it, he determined the three laws of motion for the universe. Newton then went on to calculate the universal law of gravity. These laws helped scientists understand more about the motions of planets in the solar system, and of the moon around Earth. His surviving writings and letters reveal a person with tremendous powers of concentration, the ability to stand long periods of intense mental strain, and the ability to remain free of distractions. In changing from pursuit of answers to the question “Why?” to focus upon “What?” and “How?,” he prepared the way for the age of technology. John F. Kennedy, the 35th President of the United States, is one of the most celebrated and idolised figures in American history and across the globe. Born into a wealthy, well-connected family, Kennedy was bred for a life in politics. After serving in the U.S. Navy during World War II—JFK earned several medals for his bravery—he ran for Congress and won a seat in the House of Representatives in 1946. Kennedy served in Congress for fourteen years—six in the House and eight in the Senate—and built a real name for himself in the Democratic Party. Kennedy launched a presidential campaign in 1959 defeating Richard Nixon in one of the closest elections in decades. Though his presidency was characterized by a mixed bag of blunders (the Bay of Pigs), successes (the Cuban Missile Crisis), and indiscretions (affairs with numerous women), Kennedy’s charisma was a constant and his vision of American progress was undeniably inspiring. 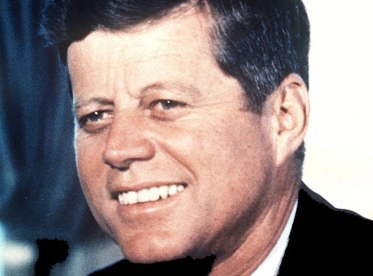 Although John F. Kennedy’s tenure as commander-in-chief was tragically short—only two years and ten months passed between his inauguration and his assassination in 1963—and his accomplishments in the White House relatively modest, he is widely regarded as one of the most important and influential presidents of all time. As the youngest person ever to be elected president, he charmed the nation with his charisma, injecting new energy into the federal government at a turning point in U.S. history. Kennedy ushered in the 1960s, a decade of great activism and social change, with an idealistic message of empowerment: “ask not what your country can do for you—ask what you can do for your country.” Through his actions and speeches, Kennedy captured the hearts and minds of an entire generation of young people, urging them to participate in civic life, engage with the world, and fight for equality. Even though his presidency did not yield a wealth of concrete political accomplishments, his legacy in American politics has been profound. By issuing a mandate for public service and inspiring a nation to take on all the challenges of a new era, JFK helped set the stage for the major social, cultural, and political changes of the past half century. If you didn’t know, Jeff Bezos is the Founder and CEO of Amazon, one of my favourite brands. Bezos is the ultimate disruptor: He has upended the book industry and displaced electronics merchants. Now Amazon is pushing into everything from fashion retailing and feature-film production to iPad-worthy tablet manufacturing with the Kindle. Amazon even sells ultra-cheap database software for businesses. He’s willing to take risks and lose money, yet investors have embraced him, pushing Amazon’s share price up and up. And even as Amazon expands and experiments, Bezos remains zealous about delivering a good customer experience. “We innovate by starting with the customer and working backwards,” he says. “That becomes the touchstone for how we invent.” Pushing the publishing industry to make books available electronically was a customer-friendly proposition: Readers got instant gratification at lower prices. Amazon Prime, the company’s popular all-you-can-eat delivery offering, eliminates friction; if you’ve already paid for unlimited shipping, then you order what you want, when you want, in the quantities you want. Amazon Web Services, the company’s newest big division, offers business customers the same sophisticated online infrastructure technology that Amazon has developed for itself. Amazon also tolerates businesses under its roof that are unconnected to one another. Amazon Web Services, for example, has nothing in common with Kindles, and that’s just fine with Bezos. He allows each to operate independently as long as they adhere to Amazon’s overall values. He calls this “distributed innovation,” and it contributes to a nimble corporate mindset that allows Amazon to branch out into new areas. A strong strain of pragmatism, or practicality, runs through Bezos’s decision-making. Sure, he has his credos, and he cites them frequently. “The three big ideas at Amazon are long-term thinking, customer obsession, and a willingness to invent,” he says. A great mantra for any business, I would suggest! A phenomenon of magic and wizardry was ignited when J. K. Rowling’s Harry Potter novels were published. Although not an obvious choice for this A to Z for many, she certainly is an inspiration to me. Rowling has been a best-selling author, generating huge interest from a global audience. Furthermore, J.K. Rowling herself has been an inspiration to many people alongside her magnificent talent for writing. With her charitable spirit and courageous personality I feel that J .K. Rowling is a worthy candidate for this A to Z.
Rowling lived quite a traumatic life, losing her mother to multiple sclerosis at a young age. She graduated from the University of Exeter and in 1990 she immigrated to Portugal, where she taught English. It was at this stage in her life that she became romantically involved, marrying a Portuguese journalist, Jorge Arantes, and having a daughter in 1993. Unfortunately, this marriage was not very long-lasting and resulted in a divorce. Rowling and her daughter, Jessica, moved back to Scotland. As with many authors, she had to overcome the difficulties of publishing her first book. In 1999, a small, low-key publisher offered to publish the book, unaware of the exceptional success that would become of this fictional tale. She went from ‘rags to riches’ in under five years! The reaction to the books really exploded just before the release of the fourth book; ‘Harry Potter and the Goblet of Fire,’ in 2000. This was noted as the fastest selling book in history at the time. She has now sold over half a billion books! Movies, merchandising, video games and a theme park followed. Rowling was involved heavily in all of them, vetoing ideas that were not true to the Harry Potter brand. In October 2010, J. K. Rowling was named ‘Most Influential Woman in Britain’. She has become a notable philanthropist, supporting such charities as Comic Relief, One Parent Families, Multiple Sclerosis Society of Great Britain, and the Children’s High Level Group. 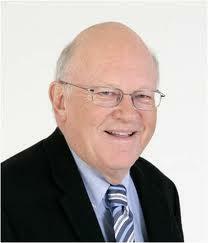 Ken Blanchard (born in 1939) is an American author and management expert. His book The One Minute Manager (co-authored with Spencer Johnson) has sold over 13 million copies and has been translated into 37 languages. Blanchard is the “chief spiritual officer” of The Ken Blanchard Companies, an international management training and consulting firm that he and his wife, Marjorie Blanchard, cofounded in 1979 in San Diego, California. In addition to being a renowned speaker and consultant, Ken Blanchard also spends time as a visiting lecturer at his alma mater, Cornell University, where he is a trustee emeritus of the Board of Trustees. Born in New Jersey and raised in New York, Ken Blanchard received a Master’s degree from Colgate University, and a Bachelor’s and PhD from Cornell University. Few people have influenced the day-to-day management of people and companies more than Ken Blanchard. A prominent, sought-after author, speaker, and business consultant, Dr. Blanchard is universally characterized by his friends, colleagues, and clients as one of the most insightful, powerful, and compassionate individuals in business today. Ken is one of the most influential leadership experts in the world and is respected for his years of ground-breaking work in the fields of leadership and management. Blanchard has inspired me, probably more than any other author. He has written over 40 books, my favourite ones being; Gung Ho! Turn On the People in Any Organization, Full Steam Ahead! Unleash the Power of Vision in Your Company and Your Life, Raving Fans a Revolutionary Approach to Customer Service , Leading at a Higher Level: Blanchard on Leadership and Creating High Performing Organizations and Whale Done! : The Power of Positive Relationships. I have given a copy of ‘Gung Ho’ to every manager that has worked for me and if you haven’t read it, you must! The Athens Olympic Games was the pinnacle of a long international athletics career for Dame Kelly Holmes. Her Double Olympic Gold triumph changed her life forever and fulfilled her second childhood dream of becoming an Olympic Champion. Her first dream was joining the British Army which she realised at the age of 17; Kelly turned her back on an early athletics career to forge a successful military career and become a Training Instructor in the British Army. She was later recognised for her services to the Military when she received her MBE after almost ten years’ service. However, she was decided to return to the track in 1992. As well as her athletics achievements, she ranks one of the proudest moments of her life as receiving her Damehood from the Queen in March 2005. Since retiring from international athletics, Kelly has started a new chapter in her life in the business world; establishing her own company Double Gold and her charity the Dame Kelly Holmes Legacy Trust. She has also been active in raising the profile of school sport up the political agenda. Kelly became National School Sport Champion in 2006 for three years and pioneered the creation of National School Sport Week. She also led the creation of Girls Active set up with the Youth Sports Trust to capture the interest of disengaged female teenagers. She also fulfils speaking engagements to the corporate industry sharing her stories of overcoming adversity, setbacks and desperation to finally achieve her lifelong dreams. In her limited spare time, Kelly devotes time to supporting her chosen charities the Laureus Sports Foundation, Hospice in the Weald and Sport Relief, alongside her own charity. Google has become as much as a part of our culture as it has a leading site for finding information. It’s even become a verb – I google, you google, they google! Offered in multiple languages, Google – and its products and services – has become a part of our every day lives. Google has expanded dramatically since it was founded in 1998. What is now a multi-billion dollar company, with thousands of workers and offices, originally began in a very different place: a dorm room with just two employees. One of these staff members was Larry Page. 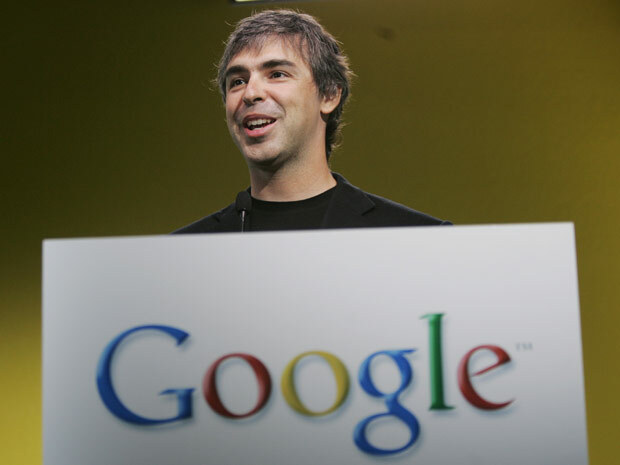 With a love of computers that began at age six, Larry Page went on to develop his passion and talent at The University of Michigan, where he graduated with honours and a bachelor’s degree in engineering. Larry then went on to the ph.D. program in computer science at Stanford University, where he met future business partner Sergey Brin. Since co-founding Google in 1998, Larry Page has won numerous honours and awards, including being named a World Economic Forum Global Leader for Tomorrow. Page was also awarded the Marconi Prize in 2004 – an annual award recognizing advancements in communications. Page moved into his role as President of Products in April 2001 and continues to run the company along with partners Sergey Brin and Eric Schmidt. Page has never swayed from his desire to provide us easy access to all of the world’s information. His belief in the power of the internet to deliver information instantaneously has led him to a high status on the Forbes Richest American’s list – a $15 billion dollar status to be exact. As a co-founder of one of the most famous brands on the planet, Larry Page has become an inspiring entrepreneur who has helped his business to grow from a dorm room business run by two students to the multi-billion company it has come to be today. The fame of Da Vinci’s (1452 -1519) surviving paintings has meant that he has been regarded primarily as an artist, but the thousands of surviving pages of his notebooks reveal the most eclectic and brilliant of minds. He wrote and drew on subjects including geology, anatomy (which he studied in order to paint the human form more accurately), flight, gravity and optics, often flitting from subject to subject on a single page, and writing in left-handed mirror script. He ‘invented’ the bicycle, airplane, helicopter, and parachute some 500 years ahead of their time. I hope you enjoyed part 2 of this A to Z. If you missed Part 1, click here. Part 3 coming soon! After nearly 2 years of blogging under the ‘Gung Ho!’ title, I’ve decided to have a little re-brand. I wanted to share my rationale with you rather than just change the name with no explanation. Many of you that have been followers of Gung Ho! for a while, will know that I’m a Raving Fan of Ken Blanchard and Sheldon Bowles’ book ‘Gung Ho! ‘ and wanted to use their teachings and insight into people and nature as a personal inspiration to put down my thoughts with a hope that people might find what I had to say of interest. Ok, that may need some explanation! 2. Oak trees take a long time to grow and have small beginnings with the acorn, but have amazing strength, resilience and beauty much like how many of us aspire to be. 3. Oak in its natural form provides for its surroundings – shelter for plants, animals and humans alike; food for birds and animals; inspiration for painters, photographers, walkers and thinkers. 5. Oak in its altered form provides fuel, furniture, buildings, sculptures and most importantly barrels for making my favourite tipples of wine, whisky and bourbon! 6. The oak is a common symbol of strength and endurance and has been chosen as the national tree of many countries around the world, including England, the United States, Estonia, France, Germany, Moldova, Romania, Latvia, Lithuania, Poland, Wales, Bulgaria, and Serbia. I’m pretty sure that these are values that most of us aspire to. 8. Finally, having witnessed it a few times in my career, if people have the belief in themselves, a great idea, are prepared to take a risk and can deliver, even if they stumble along the way, they can become mighty Oaks from little acorns. So, with that explanation, I hope you can buy-in to the new name. Not a whim, but a firm belief, that with a good roots (the right environment and encouragement), a strong trunk (belief system and support network), broad and strong branches (the right skills and behaviours), we are in a position to have longevity, deliver great benefits for ourselves, our colleagues and for friends and families and produce acorns for future generations to benefit from. So, from now on, Think Oak!